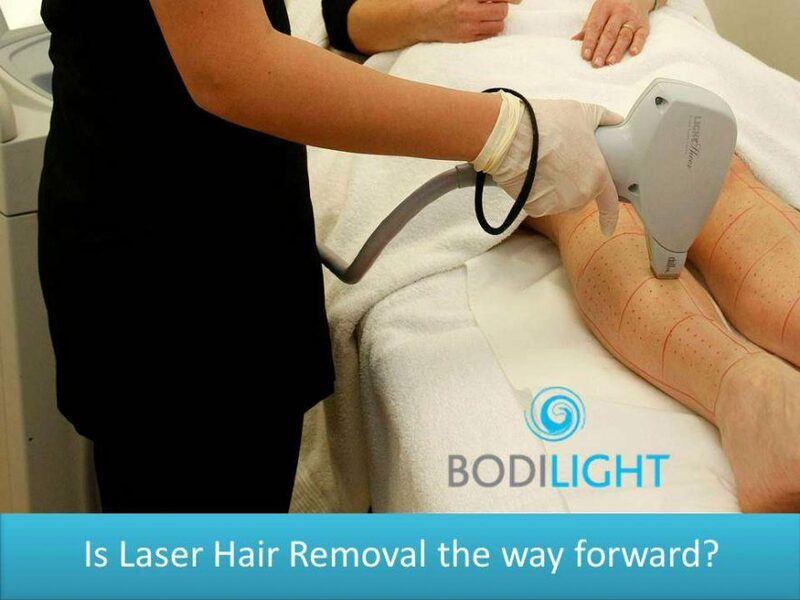 Bodilight Blog & Special Offers Is Laser Hair Removal the way to go? There are now so many options for hair removal. Waxing, tweezing, shaving, threading, bop it, creams and now laser. It’s confusing knowing which is the best route to go down. I personally have shaved for many years and was getting fed up. Those pesky under arm hairs would pop back up after just a day of shaving and the stubble was giving me that uncontrollable urge to itch in my nether regions at the most inappropriate times. I decided it was time to explore other options. I started with hair removal cream. So what did I think!? Well to be honest it was more of a faff than shaving, having to spread the cream before I got into the shower and then waiting 5 minutes before I could scrape it off and then rinse it. However, it was pain free and not difficult to do myself. Also relatively cheap to maintain. The result, a little disappointing as it didn’t last much longer than shaving. Maybe a couple of days longer at the most and the bothersome itch returned when the hair started to regrow through. Next I decided to try waxing. This I decided was best left up to a professional. I’ve always had a low pain thresh hold, which has always put me off waxing, but I decided that the results might be worth it and with my upcoming holiday thought it would be lovely not having to worry about shaving every day. Ok, so this did hurt a fair amount and there was of course the embarrassment factor of someone else dealing with my bikini line area, although after childbirth to two kids nothing is quite that embarrassing. However, I have to say it did last a lot longer than shaving and then when the hair started to regrow the itch wasn’t half as bad. The biggest con for me with this one was the fact that you have to bare that in-between stage when the hair has to grow back long enough for your next wax. Hairy armpits in the summer is not a good look and being the impatient person that I am I couldn’t resist and ended up shaving before it was time to get my next wax. There is also the continual cost element to factor in. I still wasn’t completely happy with any of the options I had tried. After a bit of research into Laser hair removal and discovering I had the perfect skin type for the most effect result, light skin with dark hair, and having a long debate in my head I decided to pluck up the courage and try it out. What could be more painful than childbirth right? So I booked my appointment with Bodilight and after a thorough review of my medical history and an in-depth discussion as to what the procedure would involve, I was confident I was in good hands. After having been through the waxing experience I wasn’t so shy about a stranger dealing with southerly parts. The Bodilight team were professional yet friendly and reassuring from start to finish. Did the treatment hurt? well -yes, but OMG was it worth it!! After just the first session I think there was over half a reduction of total hair. The results were astounding. Not only did it take weeks for the hair to fully grow back, but very little actually reappeared. The itching has been completely resolved and the freedom of not having to shave all the time is amazing. I have now been for two sessions and already have very little hair left. Ok so it is a fair bit more expensive than the other options, and there is also an element of discomfort, but I figured waxing is painful and although costs less per session, over years of having keep it up it would end up actually costing a lot more. Also putting up with a bit more pain short term, to me, is better than having to go through the continual significant pain of waxing long-term. I finally found the solution I was looking for and couldn’t be happier with the results. I have since spoken to a few friends who have also gone down the Laser route and they feel exactly the same. So if you are having the same debate I had I would recommend that you book a consultation with Bodilight. Trust me you won’t look back!